Venison and Glucosamine Dog Treats. 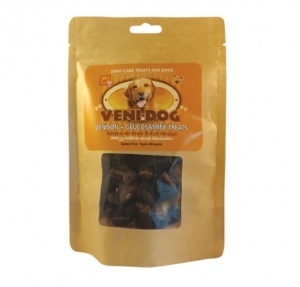 Veni-Dog products are made in the UK from pure natural ingredients - air dried and packaged under veterinary supervision. 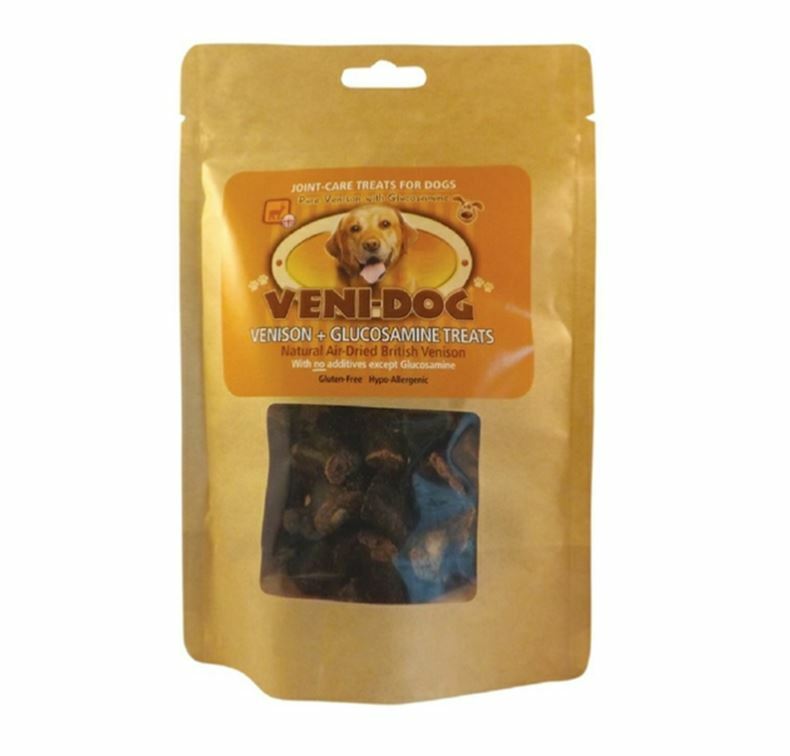 Unique healthy dog treats combining natural air-dried venison with glucosamine. Ideal for senior dogs and breeds prone to joint problems, which includes many large and giant breed dogs. Sausage type bites made from 100% pure British venison meat with finest grade glucosamine. Glucosamine is a natural building block of cartilage which plays an important role in the smooth working of joints. It is known to improve joint comfort, support joint structure and promote mobility. Prepared from approx 300g meat per 100g finished product. Complementary pet food for big and small dogs. Feed as occasional snack or as a training treat. Gluten free and Hypo-allergenic. Suitable for dogs with food intolerances.